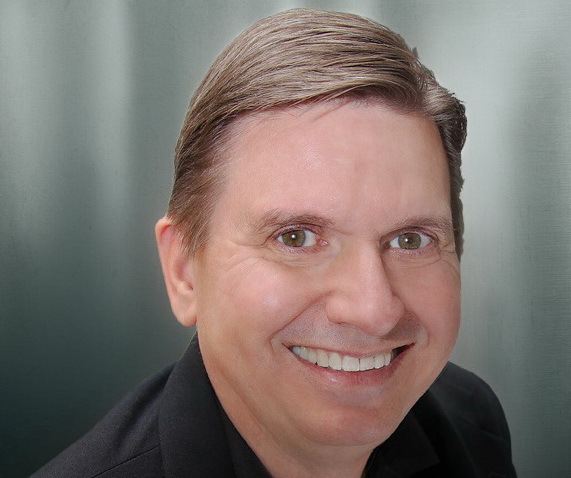 Mr. Bill Rader founded Efferent Labs, Inc. in 2011 with a passion derived from personal experience. He created the company on the shoulders of Raland Technologies (now Raland Compliance Partners), the company he founded in 1998. Efferent Labs, Inc. is a development stage company focused on biosensor systems for life sciences. Their proprietary technology is showcased in the CytoComm™ Living Biosensor System, an in-vivo, real time monitoring system for biological signaling and cellular responses. The technology used in the CytoComm™ Living Biosensor System has multiple applications including cardiology, oncology, metabolic diseases (diabetes) and research. BusinessInterviews.com: Can you tell us a bit about your CytoComm™ Living Biosensor System, and how it’s unique to anything else out on the market? Bill: CytoComm is a monitoring platform utilizing an implantable biosensor that uses living cells as the detector rather than electronics. What I mean here is the cells, in many cases the patient’s own cells, act as the mechanism that detects issues or effect and then are “read” using our platform. This information is sent wirelessly to our servers for researchers and clinicians to review and act upon. BusinessInterviews.com: What advantages can CytoComm™ provide both patients and doctors? Bill: The biggest advantage for the clinician is real-time information – information provided as the patient reacts to a drug or treatment course. The data gathered allows the clinician the opportunity to modify the treatment regimen, basically tailoring it for the individual patient. The physician can also be alerted to an issue via a webpage or email to speed up response. For the patient it is two-fold. One, a better experience – the clinician is able to react prior to the patient feeling physical symptoms and modify the treatment application early, thereby lessening or eliminating the bad side effect. And two, with better treatment modulation allowed, basically not stopping and restarting treatment due to side effects and low blood counts, the patient may be find a reduction in the overall length of the regimen. BusinessInterviews.com: Can you provide an example of how you foster an entrepreneurial environment within your experienced associates? Bill: As a startup, an entrepreneurial attitude and spirit is necessary in all associates for the company to be successful. The reason for this is that the fits and starts in a startup can be daunting. I hire with this in mind. My interview process is such that I weed out those that may not fit well, and hire those that have that spirit. BusinessInterviews.com: What are some trends in the Life Sciences landscape that you’re excited about? Bill: For me, it’s the great advancements happening in all areas. We are in a renaissance of sorts in healthcare, and we are riding the front of the wave by making the promise of personalized medicine a reality. What is more personal than using a patient’s own living cells to provide the information needed by a physician to properly treat the patient? BusinessInterviews.com: Can you share why you feel that CytoComm is destined for success since it’s focused on helping the greater good instead of a personal business goal? Bill: Efferent Labs and CytoComm are an effort greater than self. What we are doing is too important to have egos get in the way of success. I have surrounded myself with like-minded people. People with the goal of moving our products to the patient. The only destination is success. BusinessInterviews.com: How did it feel to be a winner of the 43North Global Business Idea Competition last year and recognized for your innovative research? Bill: The 43North competition was a great validation of our efforts. Often the people involved with cutting edge technologies know and understand the value of what they are doing. The problem is communicating this value to the world. 43North has become our megaphone to the world. We competed against great companies from around the world and were judged as the best of the best by experts in our field. We have taken this recognition and capitalized on it. When we call people today, many times they already know who we are and want to learn more about us.